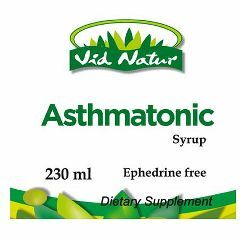 Asthmatonic is specially formulated for the prevention and treatment of bronchitis and asthma with the purpose of helping the respiratory system to alleviate such symptoms as respiratory congestion coughing allergies and inflammation of the sinuses.Asthmatonic includes four herbal ingredients: Asthmachilca Fennel Eucalyptus and Pulmonaria. We also include bee honey in this compound. We know that plants are alive beings with a nuclear compositions very similar to that of humans thus the formation of this product is effective in use for individuals and collectively. INGREDIENTS: Honey Pulmonaria extract Hinojo extract Asmachilca extract Eucalyptus extract. WARNINGS: None. If you observe adverse reactions interrupt its use ask your doctor. Diverse studies have demonstrated that the extract of the leaves of the Bixa Orellana are also effective anti-bacterial and fungicidal agents.At the University of Waterloo (Canada) preliminary studies have shown the extract of Bixa Orellana has proven successful against gram-positive germs B. subtilis S. aureua and S. faecalis); as well as E. coli S. marescens C ndida utilis and Aspergillus niger. The minimum inhibited concentration of the extract was of 4-16 mg/ml while the germicidal activity was markedly higher at 16-64 mg/ml.Clinical studies carried out in Peru conclude that Bixa Orellana has been effective in treating Clotrimazol; as well as Gardenella vaginalis Trichomoniasis and to a smaller degree candida albicans all sexually transmitted diseases.